Saying that customers can save with the new air-cooled chillers in the GLAC-CD range, GEA has announced launching the new chillers to replace the GLAC 0152-1204-BD models. 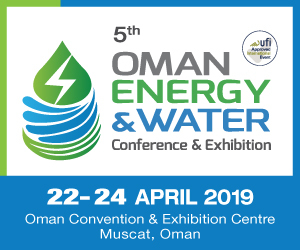 GEA claims that the range of model sizes makes them effective for small and medium-sized HVAC systems, and for facilities with small water-system contents and refrigeration ratings between 40 and 350 kW. The chillers are available over the entire output spectrum in three models: a standard version, an SL version with sound insulation down to 11 dB(A), and the HE high-efficiency model in Eurovent Class A. The standard models in the range operate with air-intake temperatures up to 46ºC and can reduce the temperature of the cooling medium to -10ºC. 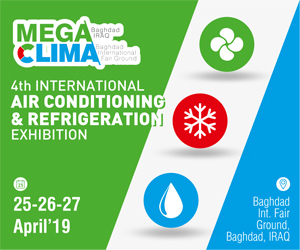 The chillers operate in one or two refrigerant cycles with the refrigerant R410A and with economical scroll compressors in a tandem configuration. The micro-channel heat exchangers (MCHX) from the GLAC 4131-8321CD2 range – already proven effective in the higher output class – are used as condensers. The performance of the heat exchangers is superior to that of classical Cu-Al heat exchangers, owing to their enhanced heat transfer and larger heat-exchange surfaces, and to their refrigerant filling volume, which has been reduced by 40%. The heat exchangers are also substantially lighter: the heat transfer capacity of a 30-kg MCHX heat exchanger is equivalent to that of a Cu-Al exchanger that weighs from 105 to 120 kilogrammes. The MCHX models, in addition, offer greater resistance to galvanic corrosion, and the pressure drop for the air flow is less than for Cu-Al heat exchangers. 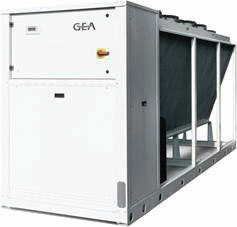 GEA has increased the output as well as the energy efficiency of the standard and the sound-insulated models. 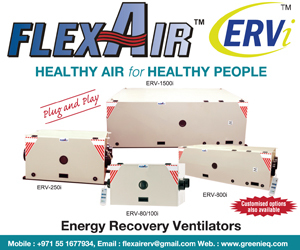 It is possible to match the units to individual customer requirements, including equipping the systems with inverter-controlled fans. Two new model sizes in the 2-scroll line (with one refrigerant cycle) now enable an overlap in cooling duty with the 4-scroll line (with two refrigerant cycles), which offers benefits in investment costs. The 4-scroll line offers customer a choice of a plate heat exchanger or a shell-and-tube heat exchanger, with an option of protecting not only the buffer tank against frost, but also the internal hydraulic components that contain water.